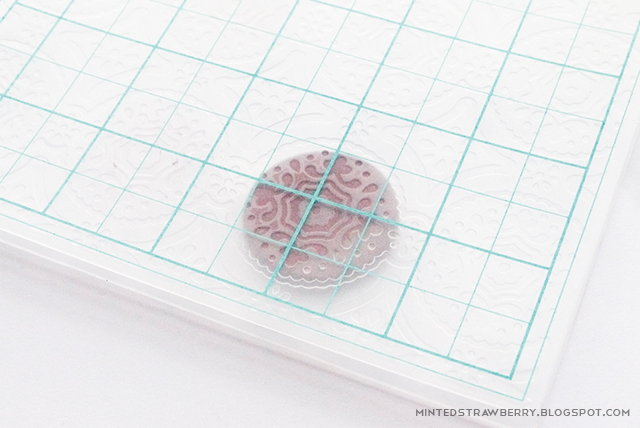 I was thinking of what to do with clay when I thought of using my embossing folders to try and emboss some of the clay I was playing with - I love how mine turned out that I'm thinking of making some earrings like it. 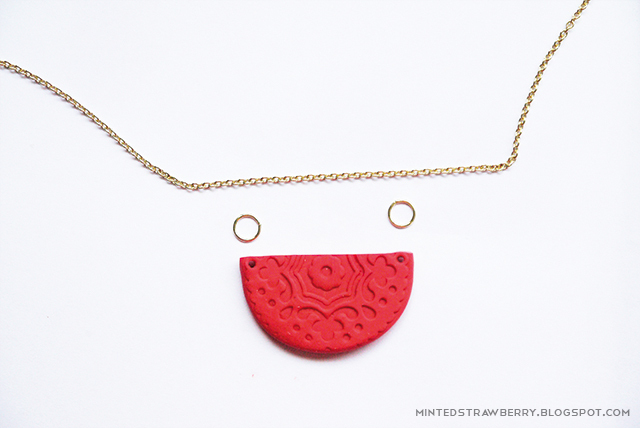 Mind you, this is not a new thing although I want to share with you guys how I made mine - it's so easy and so fun I'm sure you'll want to make more as well! First, roll your clay into a ball and flatten it a bit like pictured above. It helps to sandwich it between two pieces of paper while flattening to pull it out easier. 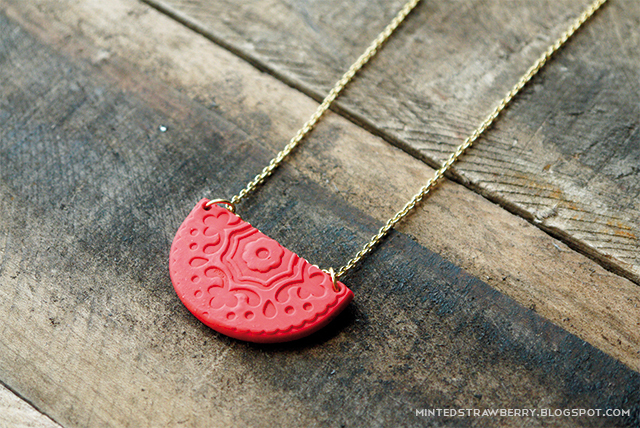 Next, sandwich your clay in your embossing folder and lightly press. It would be better to use embossing folders with intricate designs like paisleys, damasks, florals, etc. 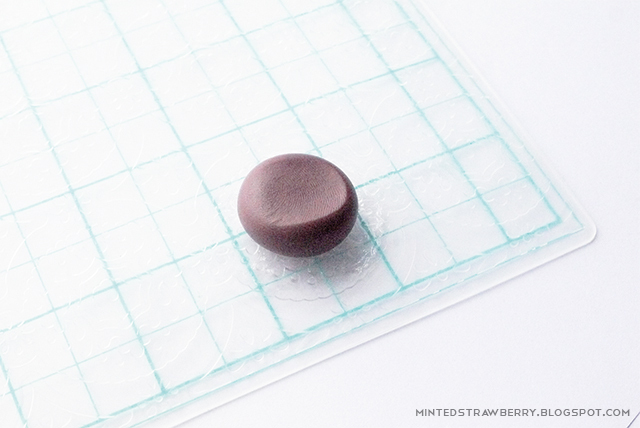 Leave it in the freezer for about 10-15 minutes to harden so it would lessen deforming it when you pull it from the embossing folder. 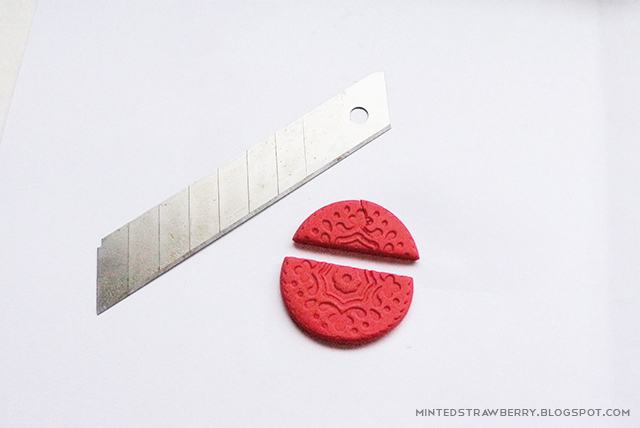 Take your blade and cut it in half (or maybe a bit more?). 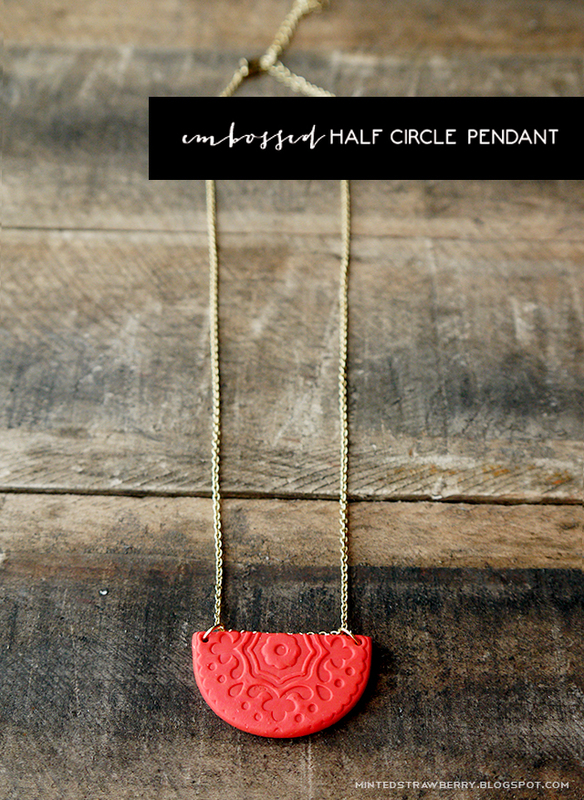 Use a skewer stick to make holes on either side of your pendant as well. Bake according to the directions of the package (mine was at 275 degrees for about 15 minutes). Add you jump rings and necklace chain and you are done! I love how it looks unique and one-of-a-kind. I'll definitely show you how I made the earrings that I will make soon! I'm so excited. 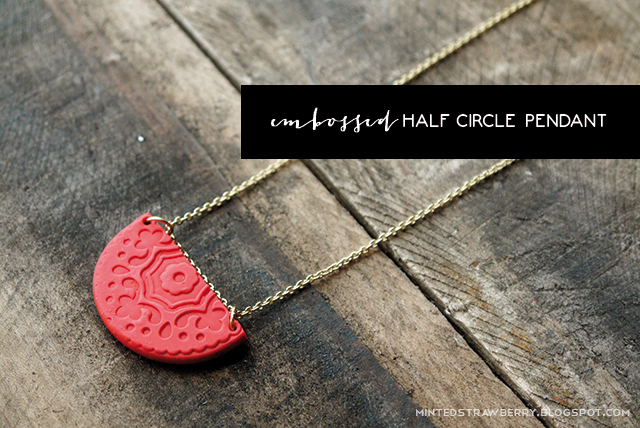 In what color and pattern do you think you'll make this? Sound off in the comments - you know I love hearing your thoughts! I hope you guys are having a fun summer week.